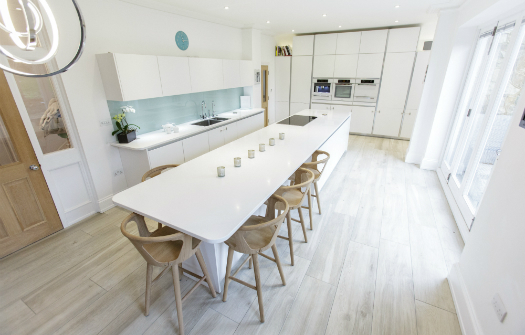 ‘Small space, big ideas’ was the theme for this unique modern kitchen design, as the existing compact kitchen had an open plan layout, but was long and narrow. 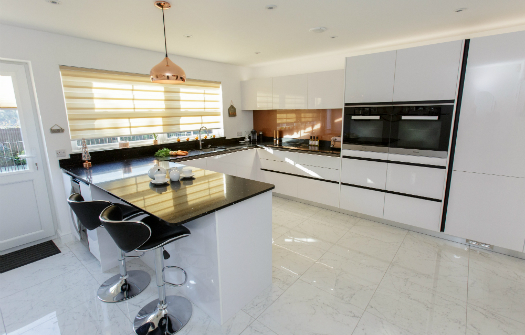 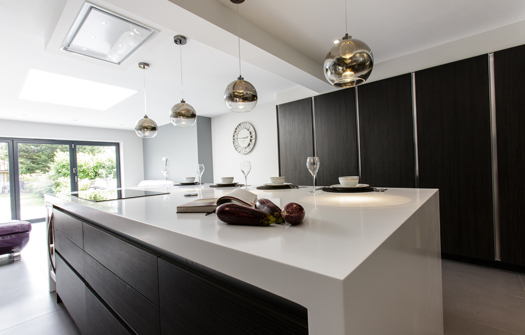 Our client wanted to maximise the space, increase storage and add plenty of worktops. 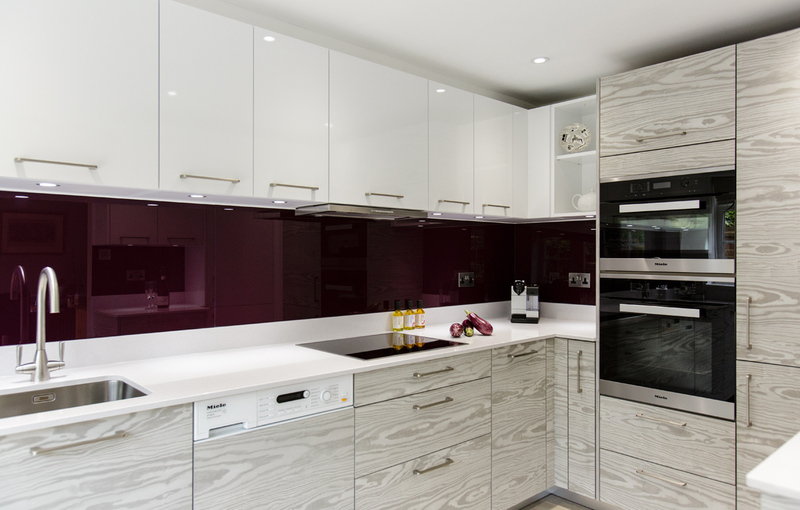 We therefore made the most of every available inch of space, placing tall units at one end to convey a feeling of width and designing a bespoke tall larder with a reduced depth to provide valuable and useful storage. 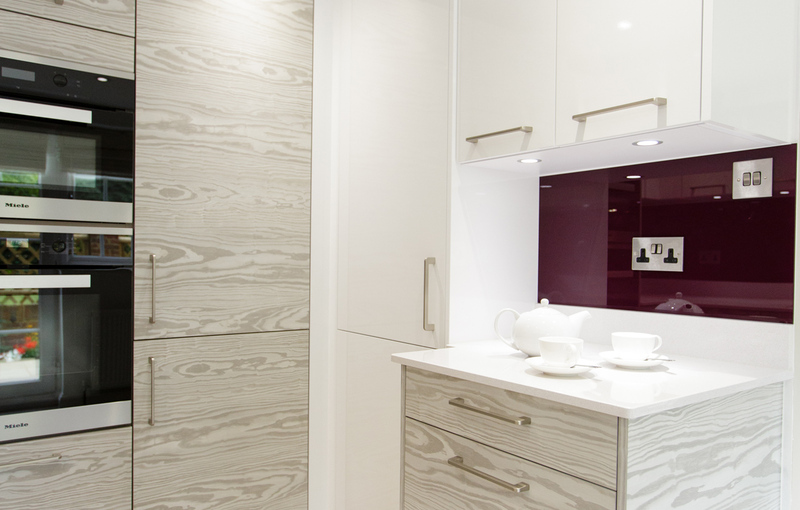 We added texture to the bright neutral gloss white doors and Silestone white polished worktops with tactile light grey bark doors. 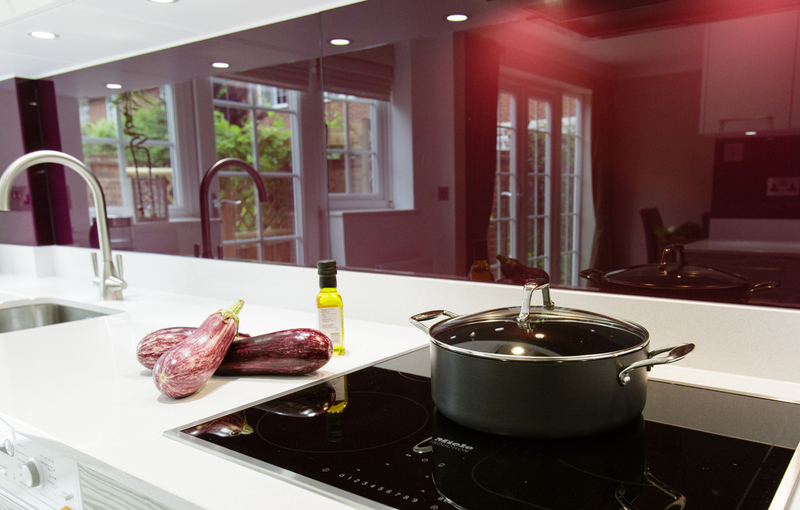 Miele appliances were concealed and integrated to continue the streamlined design and further increase the feeling of space. 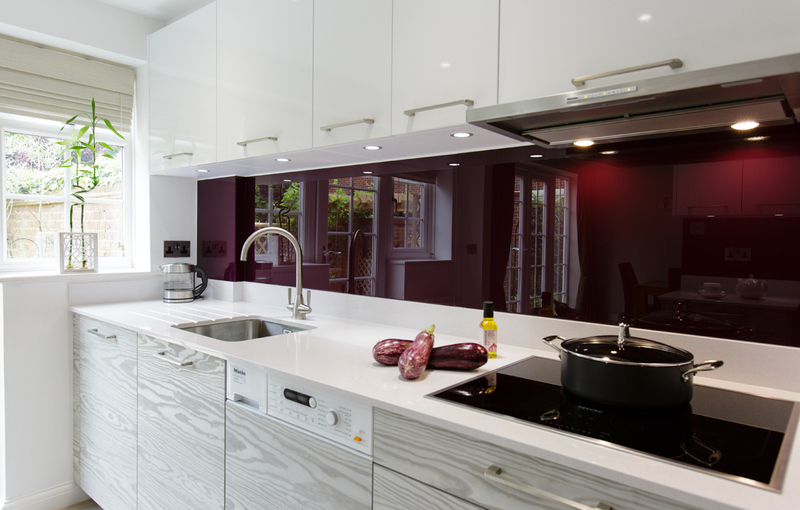 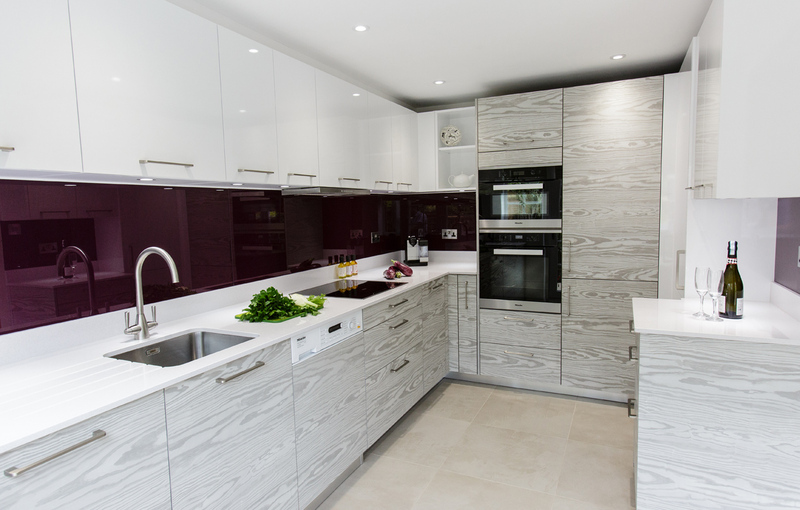 The final touch was to add an easy-to-clean splashback in rich aubergine to reflect light into the room.